More than 15,000 students on 1,100 robotics teams from 30 nations gathered at the VEX World Championships in April 2016 to compete in 3 days of intense back-to-back matches for the chance to become World Champions. In doing so, these students broke the previously-held Guinness Book World of Records title for the largest robotics competition on the planet! VEX Worlds is presented by the Robotics Education & Competition (REC) Foundation, Autodesk, and its partner network. It is the culminating event of a year-long season of imagining, designing, and creating by students. Teams are tasked with designing and building a robot for a game-based engineering challenge and compete locally, regionally, nationally, and then internationally at VEX Worlds to take home top honors and coveted bragging rights. Autodesk is embedded in the VEX learning continuum, providing free access to professional software and learning tools. Along with units in the VEX EDR Curriculum, Autodesk provides a Kit of Parts for both IQ, VRC and VEX U. Partnering with RECF and VEX to get students using Autodesk’s design tools as part of their robot design process has aided the transition of traditional classroom STEM concepts from theory into practice and supported teams of students to learn lifelong skills in design thinking, leadership and communication. Autodesk’s annual online competition, Make it Real CAD Engineering Challenge, also proved to be a huge hit with teams around the world creating incredible designs using Autodesk Fusion 360 or Autodesk Inventor, with the overall title awarded during the opening ceremony to Team ALBA – Automata Lemon Bot Alliance – Arizona for their VEX Belt Drive Kit. Entries from the challenge here. Teams from Canada, China, Puerto Rico, and the US triumphed, taking home the highly coveted titles of the VEX IQ Challenge Elementary & Middle School World Champions, the VEX Robotics Competition Middle & High School World Champions, and the VEX U World Champion, respectively. Full results can be seen here. One of the most prestigious awards, the High School Excellence Award, went to Kiwibots, the New Zealand based team who have a long history of success at VEX Worlds and are huge Autodesk users and advocates. 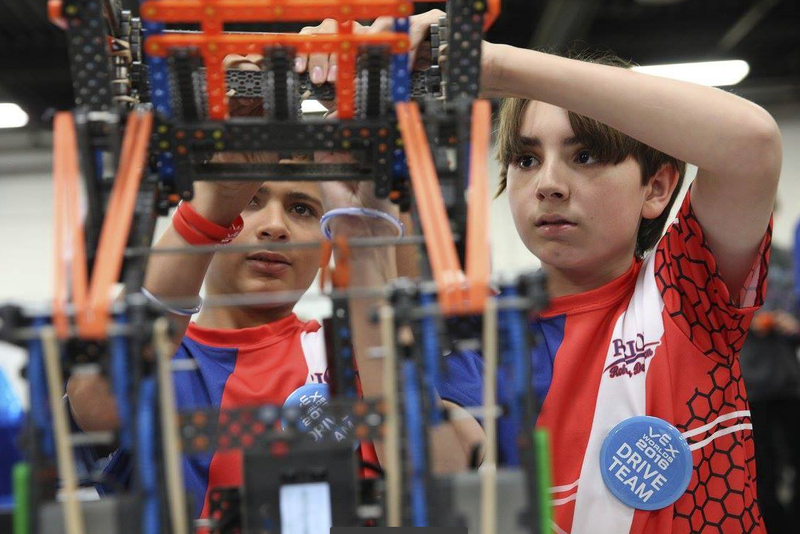 Events like VEX Worlds are a great way to inspire students to create something ─anything ─ through the power of Autodesk technology and to pursue careers in STEM. Get involved. Looking for more VEX projects? Make a custom part.